The candidates should have passed 10+2 examination or equivalent with Physics, Mathematics and any one of the other elective subjects of a Board/ University established by law in India with a minimum of 50% marks for general category candidates and 45v% marks for SC/ ST category candidates. In case of candidates studying in University/ Board/ College or School in a foreign country, the eligibility/ qualifying examination will be the same as recognized equivalent to 10+2 by the University or the Association of Indian Universities with a minimum of 50% marks for general category candidates and 45v% marks for SC/ ST category candidates. The candidate should not be, more than twenty-two years (22 years) in age as on 1st July of the year of admission. The admission of eligible foreign students shall be conducted strictly as per the guidelines of the H.P. University, Shimla. The candidates should have passed diploma of 3 years in IT or CSE or ECE (after 10+2 or matriculation) preferably from Himachal Pradesh State Board of Technical Education or equivalent with a minimum of 60% marks from institute preferably located in H.P. Candidates must have passed the Bachelor's Degree in Science (B.Sc. 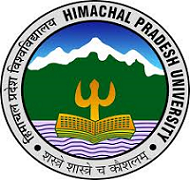 ), with Mathematics and Physics as subjects with a minimum of 60% marks from Himachal Pradesh University or any other recognized University/ Institutions located in preferably Himachal Pradesh. A candidate seeking admission under sponsored category under the lateral entry scheme should have same eligibility as given. The candidate should have a minimum of 3 years experience of working in Government Sector/ Public Sector Units /Industry related to Information Technology/ Computer Science Engineering. The candidates are required to produce the experience certificate from the employer along with (i) requisite leave of 3 years, (ii) salary statement/ at the time counselling. Form 16-A (of salary) for the last three years from the employer. The candidates, who have appeared in the final year/ semester, but their result of Degree/ Diploma course is awaited, can also apply. But, they should get their result cleared and show the pass certificate with a requisite percentage on the date of counselling. What is the aggregate marks required for the SC candidates? Click here to know more about the exam. Is there any age criteria to be eligible for the exam? The candidate should not have crossed twenty-two year(22) of age as on July 1st of 2018 of admission to satisfy the eligibility criteria for UIIT HPU CET.